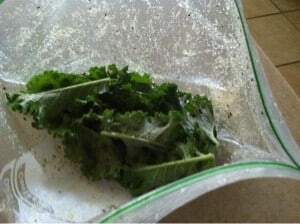 Kale chips are great. 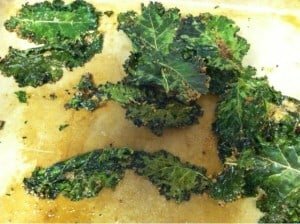 I like baby kale chips better because they’re smaller, so there’s no need to cut and they’re thinner, so they’re not taking forever to bake. 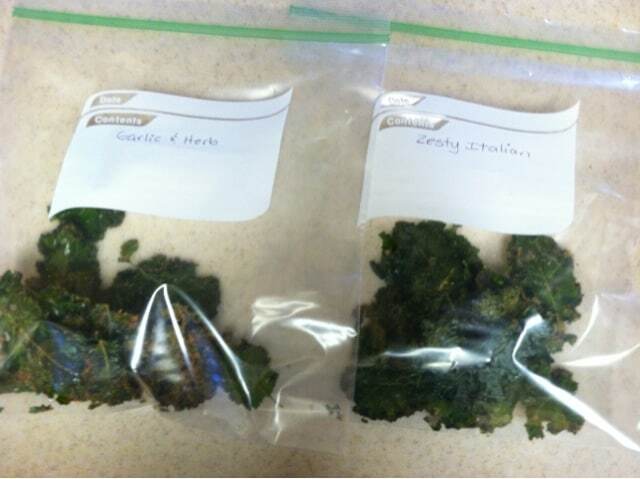 – Seasonings of choice in powder form (I used Italian for one batch and garlic & herb for another batch. I’m trying coconut sugar and cinnamon the next time I make them). 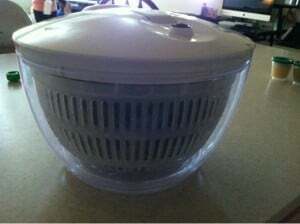 – Preheat oven to 400. 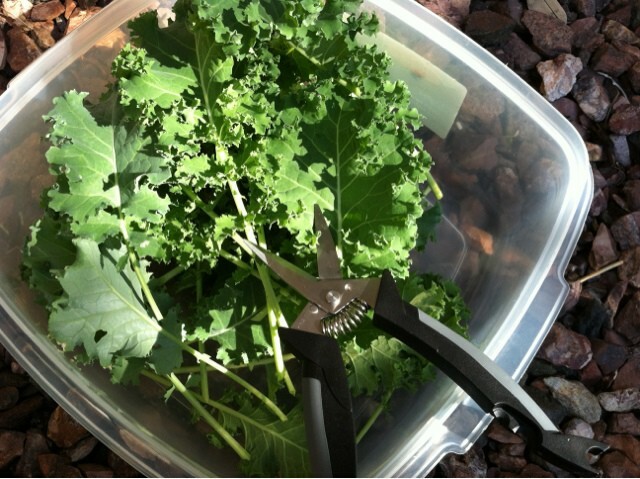 – Wash and dry baby kale (I used a salad spinner for this.). – Divide your batches (for different seasoning flavors) and put kale in ziplock bags or batter bowls. 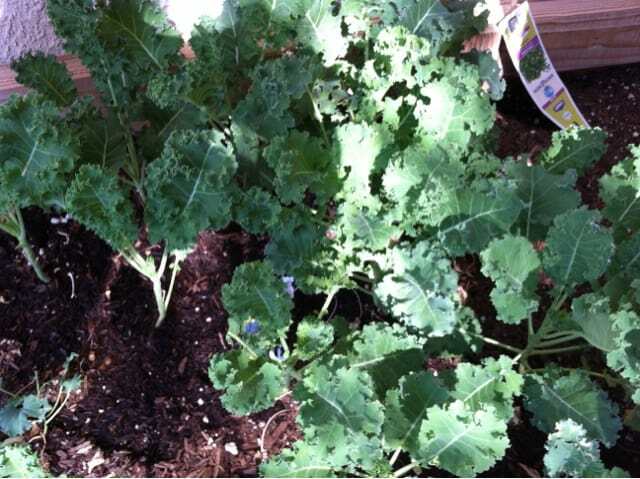 – Add enough oil into the bag to get on all the kale, but don’t overdo it. Pour a little, shake the bag, pour some more, etc. 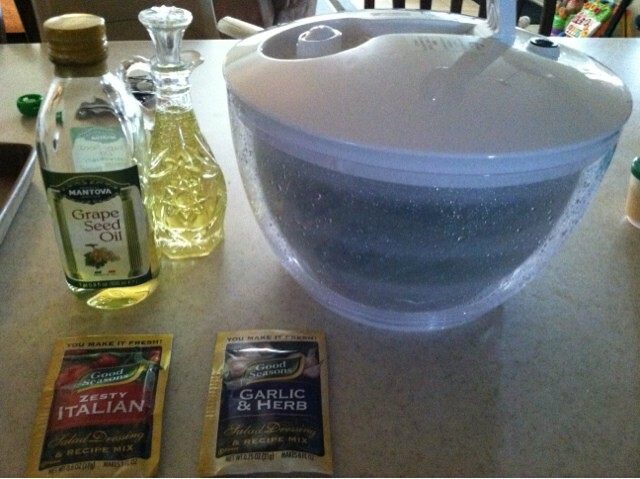 – Add your powder seasonings. 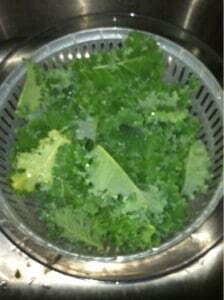 I accidentally put in too much in my last batch. I should measure out how much I am using and make note of it. Once they’re ready, you can assess whether it was too much or too little. 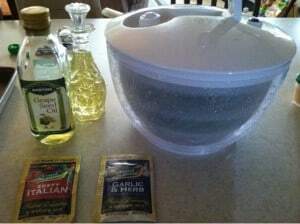 Start out with 1/2 a teaspoon and work your way up. 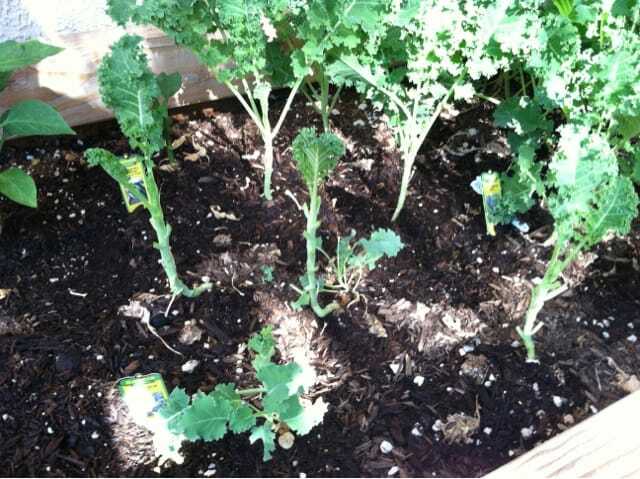 Shake around as you sprinkle the seasoning, so it gets on all the kale and sticks to the oil. 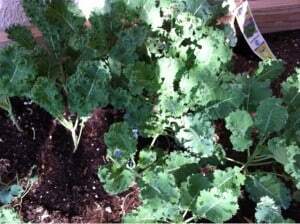 – Grease cookie sheet and place kale in one layer. 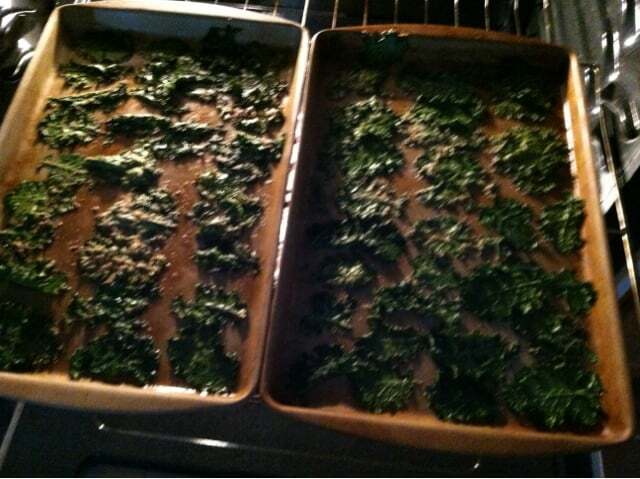 – Put cookie sheet(s) in the oven for 15 minutes. Keep an eye on them the first time you bake them, so you can gauge how long it takes your oven to bake them. Baking time can vary between 15 and 30 minutes. 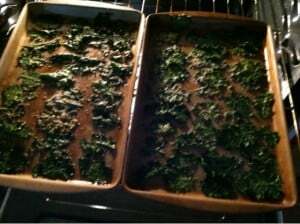 Mine took 25ish because I use stone cookie sheets and they take longer to heat up. You’ll know they’re ready when the edges are a little brown, but not burned. 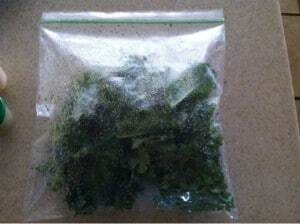 – Take them out and let them cool for a few minutes. Use a spatula or something flat to lift them off the cookie sheet. Be gentle and slow so they don’t break. Let them cool some more.